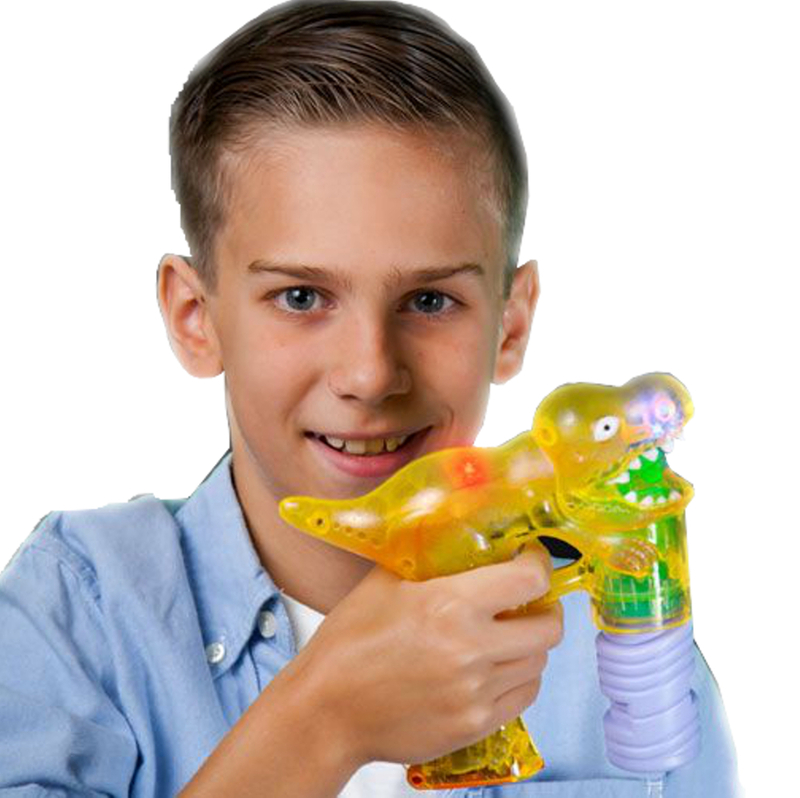 Simply pull the trigger and the T Rex Dinosaur Lighted Bubble Gun automatically shoots bubbles and gives you a free light-show at the same time! What’s more, not only does the gun itself light up, but the bubbles appear to light up too! (Bubbles included!) For the fastest results it is best to prime the trigger by pressing down and releasing until you see bubbles appear. Dimensions: length, 6 in. 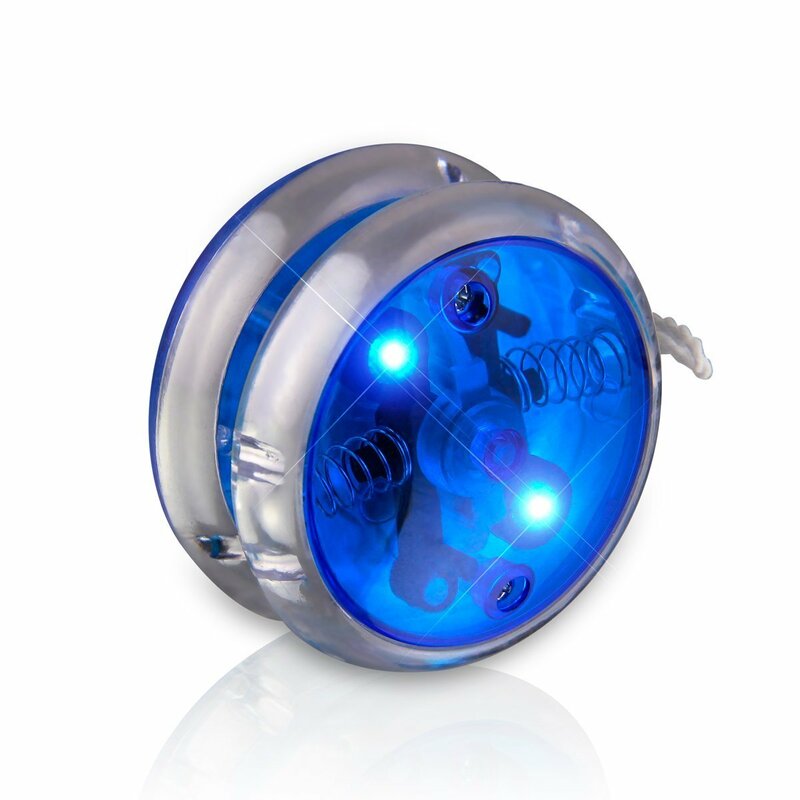 Orange and Green plastic, Multi-color LED lights. 3 AA replaceable batteries included.